Ragner A. K. Frisch was a Norwegian economist and Professor of Economics and Statistics at Oslo University. 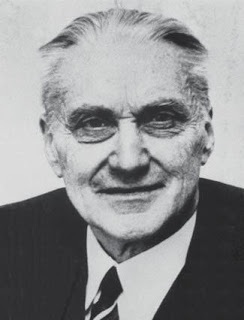 In 1960, Frisch shared the Nobel Prize for Economics with the Dutchman Jan Tinbengen. His most important work was the paper Propagation and Impulse Problems in which he developed the mathematical potential of J M Clark’s acceleration principle. The terms ‘isoquant’ and ‘macro-dynamics’ orginates from Frisch.